Published on February 16, 2016 in Business Coaching, Business Growth, Business Mentoring and Business Systems. 3 Comments Tags: Business Coaching, Business Mentoring, Road To Success. 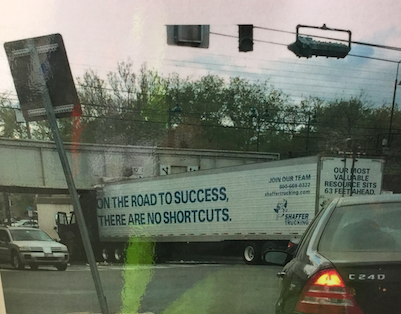 I can’t vouch for the authenticity of this photo – but the message remains vividly clear – there are no shortcuts to success. Yet we see it every day – people who buy into the “get rich quick” schemes promoted by the spruikers… If it’s too good to be true… It is. That doesn’t mean success can’t be achieved more quickly – it just means KNOWING what works versus what DOESN’T… To avoid the silliest, costliest of mistakes – the avoidable ones! If you want to learn how to succeed with less effort, contact us and we’ll show you the way – safely and efficiently! Thank you to Gavin Buckett of the Gourmet Guardian for this priceless photo! Published on October 27, 2015 in Business Coaching, Business Growth and Business Mentoring. 0 Comments Tags: Business Women, Female Business Owners, Female Entrepreneurs, Women in Business. As you (should) know, I am a huge advocate for more women in business and a proponent of female entrepreneurs. If you would like to know how much progress has been made and what still needs to improve, have a look at this valuable up-to-date infographic on women in business…. Published on September 7, 2015 in Business Coaching, Business Growth, Business Management Tip, Business Mentoring, Exponential Mindset, Recession-Proofing and Strategy. 0 Comments Tags: Correction, Demographic Cliff, Harry Dent, Market Correction, Market Crash. As you have undoubtedly seen, the financial markets are in a correction and there is considerable concern about what’s coming next. I have, over the past year, been preparing our Platinum Members to “weather the storm” and I felt I owed you at least one personal reminder (warning) about what’s coming. I first introduced Harry Dent’s book – The Demographic Cliff – as one of the best books I read in 2014. I then highlighted what’s coming, preparing people with an advance warning and addressing the concept of prescient knowledge or what I call 20/20 Foresight. And reiterated what the current Financial Market Turmoil was all about. So I think I’ve done more than my fair share. Today’s blog post is just one last friendly “warning” so you have a chance to consider preparing and protecting yourself, your family and your business. but as a realist, I know it’s inevitable. This is not a call for clients to come work with me. This is strictly an “absolution email”. I want to be able to sleep at night knowing I did what you would expect me to have done… Tell you what’s coming. Now I can sleep well at night knowing I have done what I needed to do and the rest, well that’s up to you. We all live with the consequences of our decisions and this will be no different, other than the level of hardship that many will face, which is why I have made this extra effort. This is the last blog post I will publish regarding this. I am not a fear monger, nor a conspiracy theorist. I have fully researched the basis of the prediction AND what to do about it, before, during and after the “crisis”. This phenomenon has been fully and thoroughly documented, explained and analysed by really smart people who have made millions (in some cases billions) from previous corrections and crashes. All the guesswork in knowing what to do and not do has been completely removed. Amazingly, none of the protective prescriptions prohibit growth should it not occur, which is why I think it antimimeticisomorphically exponential! Published on August 24, 2015 in Business Coaching, Business Growth, Business Mentoring and Strategy. 0 Comments Tags: Forecasting, Panic, Predicting The Markets, Stock Market Panic. What would you pay NOW to have seen ‘this coming’? I venture to guess most people discounted those “predictions” as fear mongering, contrarian thinking or even “conspiracy theory advocacy”… because that’s what the herd does, that’s why bubbles exist and why they pop. But the beginning of the setup to the single most incredible opportunity we will have to make a fortune. But I am getting ahead of myself. What would you have done to protect yourself and your business? Would you have taken advantage of it? How would you have taken advantage of a market downturn? That’s what it’s like to be a client of mine – I call it 20/20 Foresight: Knowing what’s going to happen BEFORE it happens. Contact us and we’ll let you know if you qualify to become a client. Published on July 14, 2015 in Branding, Business Coaching, Business Growth, Case Study, Copywriting, Innovation and Creativity, Pre-eminence and USPs. 2 Comments Tags: Business Card Design, Funky Business Card, Innovative Business Card. Looking to design a business card, have a look at the infographic below of the anatomy of a great business card. Published on December 11, 2014 in Business Coaching, Business Growth, Business Mentoring, Innovation and Creativity and Strategy. 1 Comment Tags: Best Business Books, Books Of The Year, Business Books. I used to publish a list of my top books, but then decided to keep that list confidential for my paying clients only. As a speed reader, I consume over 100 books in a year and thought I could share ten of the best books I’ve read in the past 12 months with you. Here it is – I am not advocating you read them all, just that I think they are worth considering the next time you want to read a good book. 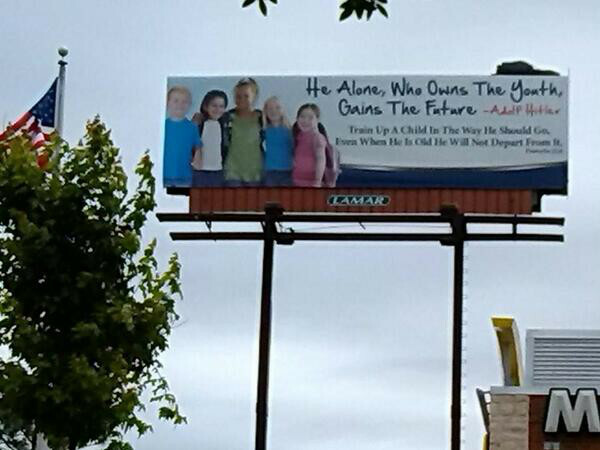 The Family Business Suicide Prevention Guide. Published in late 2014, written by yours truly. This is a MUST READ! Gone Girl by Jillian Flynn. You probably know about it because of the movie – I recommend reading the book first – the asynchronous style of writing is captivating, original and refreshing. Business people could learn from this book’s outstanding story telling and innovative approach to writing a novel. Scarcity – How having so little means so much. This is my “Business Book Of The year” selection. Curiosity – Another great contribution to our understanding of what makes us human. Talk Like Ted. Ted.com is YouTube for smart people. Ideas Worth Spreading. This is a book worth reading about speaking. Gold Rush – By Olympian and World Champion Michael Johnson. I am biased having spent a few hours at his facility. He’s the real deal and the book is worth every penny. How To Be Interesting – by Jessica Hagy. Who doesn’t want to be interesting?!?!? Blind Spot: Why We Fail to See the Solution Right in Front of Us – Gordon Rugg. Self-explanatory wisdom we all need to hear. The Demographic Cliff – Harry S Dent. If you haven’t read this yet, I hope it’s not too late! Wait – The Art And Science Of Delay – Frank Partnoy – No it’s not a justification for procrastination. You need to read it to get the nuances that are priceless and timeless. There you have it – 10% of the book I’ve read this year. If you’d like to learn to Speed Read, get my program by clicking on the hyperlink. Imagine read TEN TIMES MORE THAN THE LIST ABOVE – EVERY YEAR?!?!? Is your business paying you more than just a wage? Published on October 13, 2014 in Business Coaching, Business Growth, Business Mentoring, Buy/Sell Businesses, Entrepreneurship and Recession-Proofing. 1 Comment Tags: Business Strategy, Small Business Management, Small Business Rewards. Does running your own business payoff? The answer is yes, and no. In a recent BRW Magazine article, University Of Western Sydney researchers revealed that even though small business owners still don’t earn as much as the typical wage earner, they’re becoming richer and smarter with their money as they tend to accumulate more assets. Australian business owners report a lower level of weekly income. In 2010, they took home an average weekly income of $1975 compared with those on a wage who took home $2173. But a new University of Western ­Sydney study shows business owners outstripped their more secure counterparts by accumulating assets worth more than $1 million ($1.095 million in 2010), whereas wage earners ­accumulated only two-thirds ($673,000) of this amount. Using data from the Australian Bureau of Statistics and HILDA (Household, Income and Labour Dynamics in Australia), the study found there are more than 2.1 million owner-operators of small businesses in ­Australia and the proportion of superannuation investment by both wage earners and small business owners has increased markedly. The value of superannuation holdings in the sample group shows contributions from salary and wage earnings households between 2003 and 2010 rose 60 per cent whereas the contributions from unincorporated small businesses nearly doubled to 112 per cent. “The magnitude of the change was quite surprising,” Dr Sargent said. “Traditionally, people have started their own businesses with a view of one day selling their business and using the proceeds to fund their retirement. This is both good and bad news for small business owners. First the good news: At least business owners are rewarded with capital appreciation of their assets. It is assumed the capital growth difference with their salaried peers actually compensates for the lower income and would the greater access to business deductions. The bad news: The risk borne by small business owners is usually very high, with many primary residences collateralised for business bank loans and the on-going risk of default and bankruptcy especially in times of economic and geopolitical turmoil. An employee might lose a job, a business owner his/her job AND his/her house! The great news: Some small business owners succeed at making a higher income and create greater capital appreciation than their peers. This small, elite group of business owners learns powerful strategies that are tried and tested. If you would like to join them, contact us. We’ll let you know if you qualify to join them. Published on October 7, 2014 in Business Coaching, Business Growth, Business Management Tip, Business Mentoring, Exponential Mindset, Recession-Proofing and Strategy. 0 Comments Tags: Demographic Cliff, Dent Research, Forecasting, Future Planning, Harry Dent. I have a special vocabulary I have created to define Exponential Mindset Thinking principles and concepts. 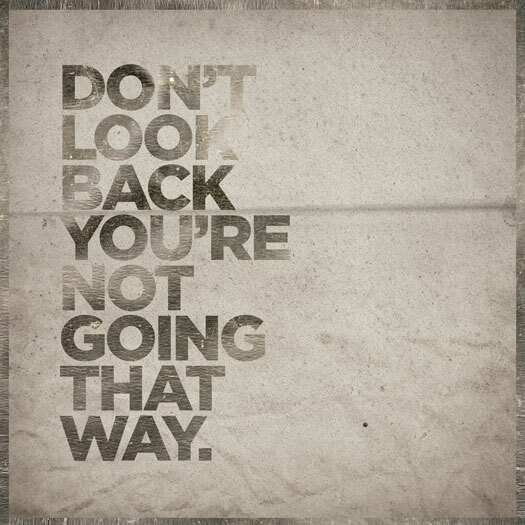 One of the most powerful is 20/20 Foresight – the ability to create the ultimate future (destiny) you desire. Admittedly it’s easier said than done, but not because the future is hard to predict, but because of the inertia you have that PREVENTS you from adapting to that (new) future which is why smart business people fail. I have been teaching this principle for some time and even blogged about it. 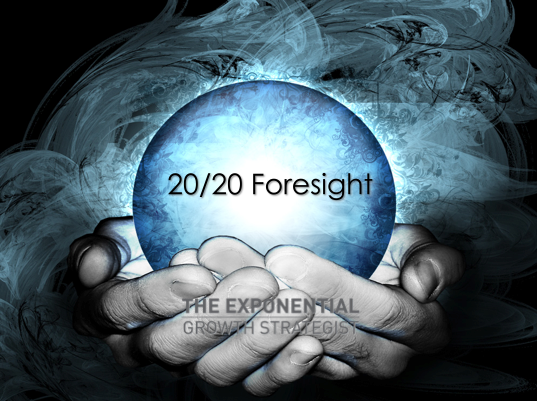 In one blog post I explained the 20/20 Foresight – Strategic Planning Framework and in another I revealed how our clients are adapting to the impending “future forces”. In my personal coaching and mentoring blog I was much more direct in my prediction for the future. There is no secret about what I expect to happen – Harry Dent has been promoting his views for some time and even published them in a bestselling book – The Demographic Cliff. After reading several of his books, I attended one of his information workshops in Los Angeles in May 2014 and was convinced that (1) I have to take this seriously and (2) I need to prepare my clients accordingly. Simply stated, what I am advocating to my clients is that they prepare themselves professionally and personally – this is a lot easier than you would think. If the crash happens, they will be the “last man standing”, if the crash does not happen, they won’t lose anything, they’ll end up with a stronger, more robust business and bullet-proof portfolio. It’s all upside. To learn what to do, you need to become a client. Contact us and we’ll let you know what to do to protect yourself and your business. If you choose not to become a client, good luck and please let me know how it all works out for you. Note for future reference: Please look at the date this was published… which can also be confirmed as published on Twitter, Facebook and Linked In. I know, don’t you wish you had (1) read this before it happened? and (2) if you did read it, that you had taken it more seriously? Published on June 19, 2014 in 1% Improvement, Business Coaching, Business Growth, Business Management Tip, Business Mentoring, Exponential Mindset, Marketing Mistakes To Avoid and Strategy. 2 Comments Tags: Master Mind, mastermind, MasterMind Groups, Napoleon Hill, Think And Grow Rich. What were they (not) thinking?!? Unfortunately most of the marketing mistakes people make are not this blatantly obvious. I say unfortunately because if they are not obvious, then they are not recognised for the true blunders they are. These are silent killers that erode a company’s profits often to the complete ignorance of the business owner. Ignorance is simply NOT KNOWING. NOT KNOWING is no longer an excuse in this day and age of “Exponential Mindset Thinking” – It’s why MasterMind Groups were invented, work so well and are used by all super successful business people and the ultra wealthy. Published on May 29, 2014 in Business Coaching, Business Growth, Business Mentoring, Business Systems, Exponential Mindset, Management By Metrics, Managing By Metrics and Strategy. 1 Comment Tags: Business Innovation, Crreative Business Thinking, Moneyball. Exponential Mindset Thinking takes balls – moneyballs… Watch this clip from the hit movie starring Brad Pitt. Enough said. If you want to get a lot more done with a lot less time, money and effort, contact us and we’ll show you the EXPONENTIAL way to run your business that will have your competitors scrambling – literally. This is a must watch movie (even though the book is much better) for anyone who wants to learn the principles of what I call Management By Metrics. Billy Beane changed major league baseball by overcoming more than a century of tradition and the wrong approach to building a “winning” team. I won’t give way the key distinction, only to say that your business, industry or profession might very well be in the same situation, in need of a discontinuous innovation that puts you in the leadership position. Antimimeticisomorphism is definitely required, but without Management By Metrics, it’s all theory and no practice. Games are won on the field, in the real world – not in someone’s head. Making things happen and STICKING to it until it plays itself out is the underlying message that without that level of conviction, belief and discipline, it’s just another incomplete experiment. You don’t want to dabble – you want to COMMIT when you know it’s right. Easier said than done, that’s why a great book was written and an enjoyable movie was made. Published on April 23, 2014 in Business Coaching, Business Growth, Business Management Tip, Business Mentoring, Exponential Mindset and Strategy. 0 Comments Tags: Long Term Planning, Strategic Planning, Unrealistic Expectations. Everyone wants EVERYTHING for NOTHING. AND they want all their problems solved YESTERDAY. It’s why it’s harder to do business. It’s just too hard to be disciplined. It’s too easy to be slack and hope something changes. When we didn’t have 2 cars, we didn’t have mobile phones OR COMPUTERS. If you want to grow your business exponentially – one step at a time, one day at a time, contact us. Published on March 28, 2014 in Business Coaching, Business Growth, Business Mentoring, Business Process, Exponential Mindset, Innovation and Creativity, Management By Metrics, Managing By Metrics and Strategy. 4 Comments Tags: Business Plan, Business Planning, Business Strategy, Strategic Plan, Strategic Planning. Gut feelings… a sixth sense… by whatever name, intuitions can be informative. Many swear by them. But in the investment world, mysteriously-generated feelings more often than not lead investors to make wealth-destroying decisions. In the business arena, the same is true – very capable, smart, hard working people travel down the wrong path with often devastating consequences. Working harder and harder based on a hunch or “opinion”. Nate Silver, statistics guru extraordinaire, put a face on the value of data and — when astutely analyzed — its ability to guide decision-makers toward the most desirable outcome. His CNN blog was widely followed during the 2012 American presidential election, because his statistical models proved more accurate than anyone else’s. A year earlier, the Hollywood hit, Moneyball (originally published as a book), introduced the world to a unique idea: A data-driven, decision-making model can successfully overcome a lack of financial resources… allowing a stats-geek baseball recruiter to beat out deep-pocketed rivals who continued to rely on subjective intuition and gut feel. When you look back, the writing’s been on the wall for years. But very few want to read it. The availability of troves of data — and the computer power needed to process it — has increased substantially over the last decade. Yet, to some, the Big Data trend is scary. Twitter, Target, and the NSA aside, financial markets are chock-full of data and, therefore, the ultimate playground for investors with a bent toward quantitative analysis. They even have their own nickname – quants! I call it Management By Metrics. Even though I am a fan of the power of the human spirit and readily admit that running a business is a balance of art and science, I NEVER make any major business (or investment) decision based on a gut feel. I am risk averse – why take a risk when you can reduce or eliminate it with some very simple, basic math? I realise my pure and applied science and engineering background has influenced me. I spent several years immersed in the scientific method, which involves making observations about the real world, forming hypotheses (educated guesses) as to why the observations are what they are, and designing experiments to determine whether or not the hypothesis holds true. Surprisingly, very few people in business use this method. Anecdotally I think it’s the popular aversion to mathematics as much as it is mental laziness. I am not suggesting you need to learn multivariate statistics, but just the use of Excel and a few simple formulas can take the guesswork out of most business decisions. As The Exponential Growth Strategist, I facilitate our Platinum Program where you can learn the skills to acquire what I call 20/20 Foresight – being able to predict the future or manifest the future you seek for yourself or your business. Founded on scientific principles, it is with reach of anyone with a basic understanding of math and a hand-held calculator. The science is straight forward and simple – the repercussions for you and your business can be, well…. astounding. Contact us if you want to get past your hunches and gut feeling decisions that are letting you down or keeping you up at night with worry. One thing that is crystal clear and most “experts” agree – the volatility and uncertainty we are currently facing is NOT going away anytime soon and in fact many agree it will get a lot worse before it gets better. It is the ‘new’ way of the world, well documented and well understood. We are in a cycle that will continue to play itself out in very predictable ways – well predictable for those who know what I am talking about! Give us a call and we’ll introduce you to very exciting and valuable concepts like this one, that will put you back in the driver’s seat of your business (and your life) so you can steer in the direction of your goals and dreams and get to your ultimate destination (achieve your ultimate outcome). Published on March 4, 2014 in Business Growth, Business Mentoring, Buy/Sell Businesses, Exponential Mindset and Strategy. 0 Comments Tags: business brokers, Business For Sale, Selling Businesses. One of the foundational concepts of the Platinum Program we run is to develop what I call 20/20 Foresight, the ability to predict and/or manifest a beneficial future – regardless of the forces that might be at play. A recent article in BRW Magazine highlighting why baby boomer business owners may retire with nothing makes this point clearly and succinctly. We know the adage that “knowledge is power”. With this particular knowledge, there is no question that the only reprieve is to build a profitable business that someone wants to buy – because of the FUTURE income streams, not emotionally-laden ‘goodwill’. Easier said than done, but then again if it was easy, everyone would succeed. That is one of the many advantages, and largely hidden benefits of our Platinum Program – having discussions like this one, and exploring the options available to select the best choice possible – ahead of the crisis. Demographic statisticians and economists are mostly in agreement that the largest demographic generation in history, the baby boomers, will have a profound, pervasive and permanent effect on society as they age and exit their cycle. The question isn’t a question of IF, but WHEN. Each industry (and country for that matter) has a slightly different exposure and corresponding timing. For example a doggy day care will still have good times ahead while baby boomers get older and spend more time with (and money on) their beloved dogs, whereas a construction company relying on the sale of residential homes and units will struggle as existing homes become vacant as boomers move into assisted care living accommodations. If you’d like to make the most of the next few years, there is no better time than right now to position your business to make the most of what is coming – or prepare your company for a sale before there is a glut of (non) buyers. Contact us when you’re ready. Published on February 4, 2014 in 1% Improvement, Business Growth, Business Videos, Copywriting, Exponential Marketing, Killer Kopywriting, Lead Generation, Marketing Mistakes To Avoid and YouTube Videos: Business. 0 Comments Tags: Copywriting, Corporate Copywriting, Great Copy. There are many concepts, strategies, techniques and approaches that make Exponential Marketing so effective, efficient and economical. One of the foundational building blocks is what I call Killer Kopywriting. It’s more than just words that sell, it’s a system that teaches you how to establish Killer Konversations that Kreate Killer Kampaigns to Konvert more Klients. OK, enough with the branding nomenclature, you get the point. The video below is an example of the power of a story. In this instance the context is funny, but in business, the better you become at crafting corporate stories, the more effective you will become, not just to attract more clients, but also reduce your sales cycle and improve your conversions. Easier said than done. Writing great copy is a science and an art that is beyond the reach of most business people. The point is not to turn you into a professional copywriter, but to develop within you, the skills to appreciate the value of great copy, manage contract copywriters and enhance your existing corporate communications. It is without a doubt one of the most powerful skills and attributes you can develop that will propel your sales forward. Ignore its importance is not an option – especially when it comes to the Internet and Search Engine Optimisation that sorts and ranks how good or bad your copy is. There is a direct relationship between the traffic to your website and the quality of your written content. The problem is that unless you know the ins and outs of how to write Killer Kopy, you will never fully optimise your traffic and web lead generation. Published on December 5, 2013 in Business Coaching, Business Growth and Business Mentoring. 0 Comments Tags: Business Coach Brisbane, Business Coach Melbourne, Business Coach Sydney. We recently added a few pages to our website to answer some of the questions related to how to select a life coach or business coach and the life and business coaching industry in general. In support of the suggested process, you can click on the hyperlinks to access the explanations of my Mastermind Mentoring Methodology as well as my coaching and mentoring philosophy. It’s important to mention that I consider myself a mentor and not a motivator. Click on the hyperlink for my explanation of the difference. These are not just nuances, they are vitally important when choosing someone to work with. Have a look at the various pages – I have invested a lot of time making sure I document the process thoroughly for you, I am committed to your success which means making the best decision possible. When you’re ready to take your business to the next level, contact us. Published on November 29, 2013 in 1% Improvement, Business Coaching, Business Growth and Business Mentoring. 2 Comments Tags: Business Coach Brisbane, Business Coach Melbourne, Business Coach Sydney. I recently read a few blog posts about successful entrepreneurs and the one piece of advice they got from their business coach or mentor that made a difference. One of the best ones was “You can’t sit on two toilets at the same time.” I thought that was brilliant for those entrepreneurs who keep trying to do too many things at once. That’s when I thought it would be a great idea to ask my own business mentoring clients what they thought was the #1 thing they’ve heard me say that has positively affected their business growth and/or improved their quality of life. Here are some of their submissions – enjoy! Easier said than done, but with our Exponential MasterMind Mentoring Methodology, we’re able to give her the challenging environment to do that. For Shane Young, CEO of Max Pak, his #1 quote is: “Perfection is the poison of profitability.” Doing ten things less than perfectly is much more valuable than waiting, waiting, waiting to finish that ONE thing PERFECTLY and usually not getting around to it. You can always improve on stuff that you have done, but without a focus on perfection, it frees you actually get things done now rather than never! MAXPAK is a family-owned Australian manufacturer, importer and distributor of quality packaging products that make your workplace more enjoyable, more profitable and more productive. Since 1979 MAXPAK has been supplying high quality, cost-effective and consistently reliable plastic bags, pallet wrap, food-grade carton liners and disposable packaging products. Our clients include many of Australia’s biggest retail chains, third party logistics providers, market-leading cleaning suppliers, food processors and meat exporters. Inner outer health® is an award winning Health and Wellness Centre in Bellfield/Ivanhoe, specialising in Myotherapy and Floatation Therapy. We provide excellent results by recognising each person’s unique needs and creating individualised treatment plans based on a holistic approach to help you develop body awareness and appreciate your own body, so we can quickly identofy the cause of the problem and solve it. For Gavin Buckett, owner of Prime Skills, it wasn’t a quote or saying, but rather understanding the lifetime value of a client and not just the value of the initial sale. When you respect and nurture the relationship for the long term, it creates the win-win-win outcome that is truly exponential. Prime Skills is a nationally recognised Registered Training Organisation (RTO) that was established in 1998 to provide specialised industry specific food safety training, development and quality services solely to the food industry. The training can be delivered in your workplace, in our training room or through our tried, tested and proven modern online delivery system, guaranteeing our clients rapid, fun and engaging learning outcomes that meet or exceed current legislative requirements. Trust Prime Skills to keep your customers safe and your had earned reputation intact! Successful Endeavours makes electronics and embedded software work the way they should, saving you up to 2 out of every 3 dollars you otherwise would have wasted, so you can manufacture your market leading product in Australia, at a profit. So Ray decided to test this out and reworked their website and started to blog. Now, 2 out of every 3 clients are generated via the Internet with a sales cycle half as long as the cold-call prospecting alternative he used to use. Alex Pataky of Steelbond in Sydney knows that identifying a target market is the first step in any marketing and sales campaign. To remove the different reasons people might not want to buy means engaging in more than one conversation at a time. By doing that, each type of prospective client can progress through his/her logical process to make the purchase willingly and happily. Easier said than done, but impossible to do if you try to have all those discussions within one single conversation! Steelbond has been providing Eclipse aluminium louvre roofs that open and close faster than the weather changes in Melbourne for the past 25 years. They are designed and installed to compliment and integrate into the architecture of your property so it doesn’t look like an add-on. The Cooinda Cat Resort is a small family run business. Like most small businesses, they spend most of their time working IN their business rather than ON their business, focused on caring for their feline friends. One way to switch from working IN to ON your business is to ask: “What’s your outcome?” This innocuous question redirects their thought process, helping them pin point what and why they are doing to make sure it’s the right thing to be doing at the right time. Often, it’s a case of reconciling short term priorities (tactics) within the long term strategy. There was a time, not long ago that the Dogs Country Club & Kennel Resort didn’t think blogging was important. Sure they had a website, but a blog? Now, they couldn’t run their business without one! Their big take away was that “you don’t have to do it all yourself”. That doesn’t just mean you can subcontract some of the research and writing, but more strategically it means you can involve your whole team AND clients in the process. By engaging your clients and the greater community in an interactive blogging experience means you will reach out beyond your immediate sphere of influence and the rewards will follow as you tap into your readers’ passions. Published on October 12, 2013 in 1% Improvement, Business Coaching, Business Growth, Business Mentoring, Events, Exponential Mindset, Management By Metrics, Managing By Metrics and Strategy. 0 Comments Tags: Forecasting, Forward Planning, KPIs, Strategic Planning. Wouldn’t it be nice to be able to look into a crystal ball and see what the future holds? 20/20 Foresight might not be THAT precise and accurate, but there are tools, tips and techniques you can use to determine trends and tendencies forecasters and analysts use on a daily basis to predict what’s coming. Small businesses are notorious for being reactionary rather than proactively aware and ready to face the future. This is partially because owner-managers work IN their business much more than ON their business as well as because they simply are not aware that these tools exist. Next Saturday, in Melbourne, we are holding a 1-day workshop that will introduce you to the concept of 20/20 Foresight that is synonymous with Exponential Mindset Thinking, leveraging the MasterMind Principle in an interesting and creative way. There is nothing worse in business than being caught completely unprepared. This workshop will enable you to start developing forecasting and preemptive strategies that will enhance your view of the future to improve the decisions you make today. Imagine having a copy of a exam, weeks before you have to sit the final? How differently would you study? How much less stress would you have? How would you go about your lectures and study habits? What would happen to your grades? Would you enjoy the process more or less? *Oops… Did I forget to mention that once you have an idea of what the future holds, you can actually start to change it?!?!?! Oh well… No use getting into how to do that unless you attend. Published on September 13, 2013 in Business Coaching, Business Growth and Exponential Mindset. 1 Comment Tags: Business Strategy, Self Efficacy, Willpower. For the past few weeks, I have been blogging and emailing about Champion Mindset strategies applied to business and then it hit me – not everyone should be a champion. I don’t say this frivolously, I’m totally serious. Not everyone should be a champion. Champions want opponents who push them to become the best they can be, but also that come up short in the key moments so they get all the spoils of victory to themselves. Champions also need competitors who are easy to beat, who give them time and the opportunity to hone their skills without pressure and intimidation. Champions also appreciate supporters of the sport who are in it just to have fun and give it a go, it creates ambience and a great family, group atmosphere. Of course we can’t forget the spectators – without them, what would be the point of being a Champion? Champions need, even crave and feed off the admiration, respect and adoration that fans enthusiastically show for their favorite “superstar”. A few years ago, I chose to work with business people who wanted and were committed to being Champions of business, but I accept that it’s not for everyone. The person who complains about clients who didn’t pay their bills on time or that their employees are slacking off. The entrepreneur who works ridiculous hours for a wage they would never accept as an employee. The long-time business owner-operator who thinks he/she is building a business yet there is no chance whatsoever that anyone will ever buy ‘the business’ because it is essentially a job with minimal tax benefits. To stick to the sports metaphor – not everyone needs to play a sport and not everyone needs to be a Champion. Even at the Olympics, there are THOUSANDS of competitors and only HUNDREDS of medalists. Let’s face it, being a Champion, in business or sport is not “easy”, it takes time, money and effort. You need to want it. If you don’t want it, it’s OK, there is always someone there ready to take it. Someone eager, hungry and ambitious. So don’t sweat it if you’re not and don’t want to be a Champion. If you think this blog post is an exercise in reverse psychology, it’s not. I fully and sincerely accept there are different kinds of people in the world and not everyone needs or should be motivated to succeed and excel. First and foremost because, by definition – mathematically – it’s impossible for everyone to excel or “succeed”. The normal probability distribution curve has proven to be quite robust in almost all areas of endeavor… for a reason. People are “normal” and as such most people produce at or near “average” results. Why focus on this realisation that many would cite as self-evident? BECAUSE it’s not that obvious. Too many wannabes and gonnabes are deluded into thinking they will be the next “millionaire” when the harsh reality is they have no such “chance”. Creating that delusion, false expectation is simply not fair. It’s one of my pet peeves of this “industry”. 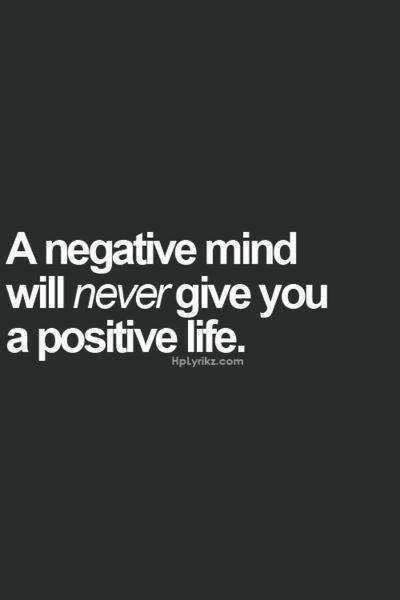 I am all for adopting a Positive Mental Attitude, but not at the cost of self-delusional lunacy. If you are a Champion, you know it. There is no need to convince you to become one. Even if you haven’t yet “won” the ultimate prize, you know it’s not a question of “if”, but rather “when”. If you aren’t (yet) a Champion, but want to become one… I suggest you read the blog posts noted above as a starting point. Published on July 30, 2013 in 1% Improvement, Business Coaching, Business Growth, Business Mentoring, Do Stuff, Exponential Mindset, Innovation and Creativity, Marketing Mistakes To Avoid and Strategy. 1 Comment Tags: Business Failure, Business Growth, Inertia, Momentum. In a previous blog post, I touched on several foundational concepts that can help you to go from establishing motivation to creating momentum. Today, I want to focus on the catalyst, the initial trigger(s) that can help you start the process. First and foremost, to get moving, you need to overcome inertia. Inertia is defined as “the predisposition for a body to remain in the state that’s it’s in.” That means if you are NOT moving, you want to remain still. If, however, you ARE moving, then you want to remain IN MOTION. Therein lies the first reward for taking action. Once you GET moving, it’s easier to STAY moving. I know, I know… “Easier said than done”. Especially in the morning when you are lying in a warm, comfortable bed and the last thing you want to do is get up and go for a run, do exercise or get a head start on your day. 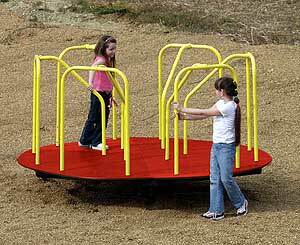 You have seen it first hand at the playground with a merry-go-round. The first pull is really hard, and then it’s effortless to keep it spinning. Success is just like that – it gets easier as you become (more) successful. Inertia is one simplistic answer that pop psychology likes to hone in on. I prefer to look a little deeper than the superficial factors that don’t provide much insight nor contribute to providing practical solutions. One of the primary reasons people don’t do what they KNOW they should do is because of prior (negative) experiences. Yes, the psychological literature addresses a person’s predisposition towards positive affect (seeing the glass half full), self-efficacy (you think you can complete a task successfully) and self esteem, but those are all quite superficial and of marginal practical value. Past failures are the #1 contributor to most people’s inability to take action on projects and opportunities that are (blatantly) beneficial to them. 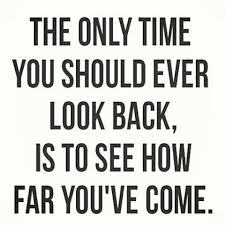 One of the most valuable lessons champions learn is that the past does not equal the future and past performance is NOT a predictor of future success. We need to fail to learn the difference between what works and what doesn’t. The quicker we fail, the quicker we learn the lessons and the faster we are able to turn our REASONS for not achieving into the RESULTS that we seek. We are reasons or we are results. When you face the harsh reality of life, and really think about it, you’ll agree that when you don’t achieve a RESULT, there are REASONS. The more REASONS there are, the better. That is because there are MORE sources to solve the problem so you can achieve the desired RESULT. But and there usually is a but involved – most people don’t want to face the truth and therefore kid themselves ignoring the REAL REASONS that deny them from achieving the RESULTS they seek and desire. This is where self awareness becomes a key ingredient of extra-ordinary success. A true champion (a super successful person) addresses these issues, one by one, removing the REASONS so the RESULTS can emerge, as if by magic. 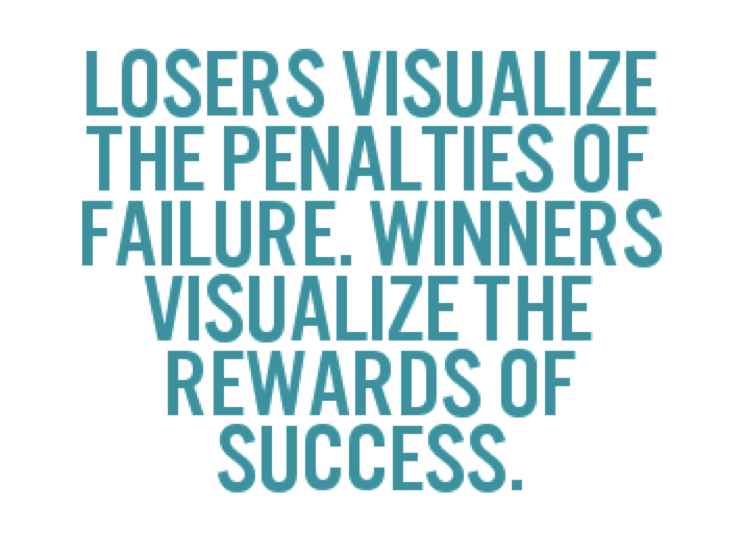 But most people get discouraged with failures and shortcomings, get down on themselves and lose faith. The reason that it is so pervasive is that without the proper coaching, mentoring or assistance, more (wrongly directed) effort is futile. 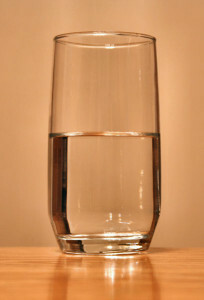 Here is a new twist to the glass half empty or full question that I thought would be appropriate to introduce to you. How heavy is this glass? If you hold the glass for a minute there is nothing to be concerned about. If you hold it up for an hour, then your arm will be very sore. If you hold it up for a whole day, then the pain will be excrutiating. And yet the weight of the glass did not change, but its heaviness certainly did. This compounding effect is devastating to the person who just does not know any better. The great thing about living in a developed country is that the tools for success are within EVERYONE’S reach. For example, I have published over 4,000 pages of FREE content on my blogs. Anyone with an Internet connection can access business building, career advancement and personal development tips, tricks and techniques at NO COST. Of course, the Internet is filled with priceless and timeless data and information. But without a framework, it remains impotent – neutral, often useless. You need a framework, a strategic intent that first creates a catalyst or trigger to get things going and growing and then an approach to maintain and build the momentum. But and there’s that much hated word again – but… without a DECISION, nothing happens. I have seen too many people hesitate, procrastinate and essentially self-sabotage their careers and business outcomes due to fear of making a decision. Fear of taking a stand. Fear of raising the bar. Fear of taking a chance (on themselves). Fear of creating the potential outcome that is within their reach – their ultimate destiny. Real life never provides “perfect information” so expecting it is a recipe for certain disaster and disappointment. Perfectionists and procrastinators seek this “perfect information” and get caught in the analysis paralysis paradox, a self-fulfilling vortex with no way out. So where does that leave most people? Stuck in the predicament they are in. Stuck in their mindset. Stuck in their current reality. Without the desire, drive and determination to get UNSTUCK, they repeat the patterns of the past, over and over and over again. The ONLY solution is to BREAK THAT PATTERN. Accept that perfect information does not exist and start moving forward WITHOUT knowing what the second step is. The first step will reveal it to you, but only once you’ve taken it. 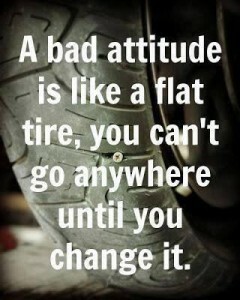 Break the vicious circle by taking the first step. You do not need to know ALL the steps to a destination to get there. 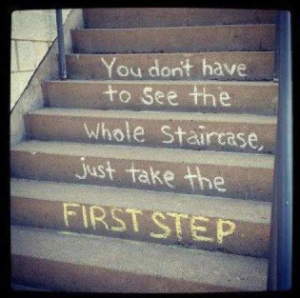 You just need to know you WANT to get there and take the first step. Get advice from people who have achieved what you want to accomplish. You wouldn’t ask your car mechanic to cut your hair, so be careful WHO YOU TAKE ADVICE FROM! Remain committed to your outcome, or change it (your outcome or goal) if you must. Nothing worth achieving will come easy. Accept that otherwise don’t waste your time. Recognise that momentum, once created, is easy to maintain and build upon. You have seen it first hand at the playground with the merry-go-round. The first pull is really hard, and then it’s effortless to keep it spinning. Success is just like that – it gets easier as you become (more) successful. For all of this to ‘happen’ – you need a BIG REASON to do ‘it’. You need something bigger than yourself, more important than “just making money”. You need to pick something that means something to you, resonates within you. Pick something that once achieved, will change your life and/or the lives of others you care about. You need a purpose. When you find that “purpose” you will have the fire in the belly to get started. With that initial motivation and enthusiasm you will create the catalyst for change and the momentum will build from there to help you achieve your dream(s). Without that “purpose”, you are impotent, stagnant, inert, blasé, bland, indifferent, STUCK. I’ve already published an extensive post on Victims and Martyrs that you can refer to. Without being too much of an idealist, I believe that (almost) everyone can achieve their ultimate destiny – but – the number one thing that prevents that from happening is their inability to resolve the REASONS that prevent them from achieving the RESULTS they desire. It really is as simple as that. Success is really not complicated, it comes down to wanting it bad enough for a reason important enough and then doing whatever it takes to make it happen. Published on July 29, 2013 in 1% Improvement, Business Growth, Business Mentoring, Exponential Mindset, General and Innovation and Creativity. 0 Comments Tags: Creativity, Exponential Mindset, Exponential Thinking, Innovation.